Over the course of the time I’ve had my website, I’ve had a few people ask “how big are these minis?”. 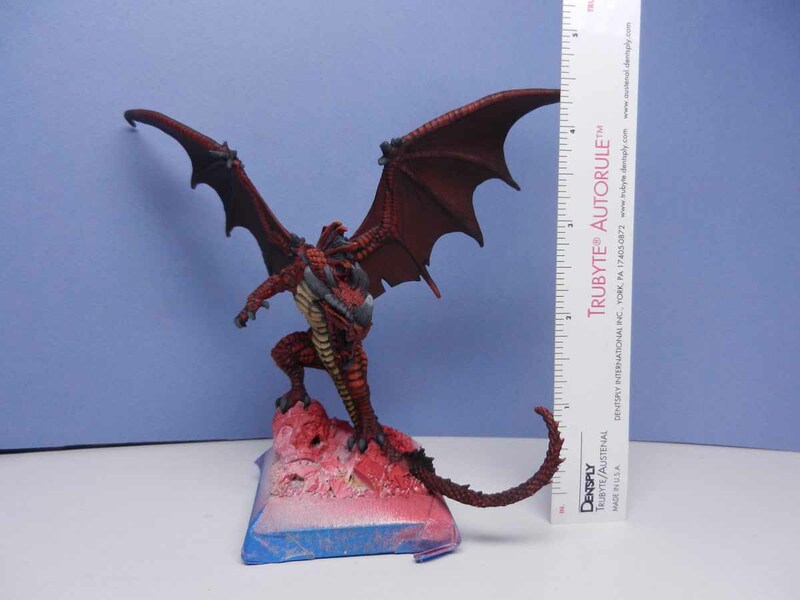 I try and remember to post the scale on the gallery pictures but I forget that not everyone knows what the difference between 25mm and 80mm scale is. I’m not well versed on what all of the scales are and how they are used in sculpting, but I want to explain a little about the scales I work in the most. The scale of the mini determines the comparison to what it would be in real life. Generally, in historical and scale models such as planes, armor, and ships it is listed as a ratio such as 1/32 scale. That means that one inch on the sculpt represents 32 inches in real life. This type of ratio is seen mostly in vehicles. 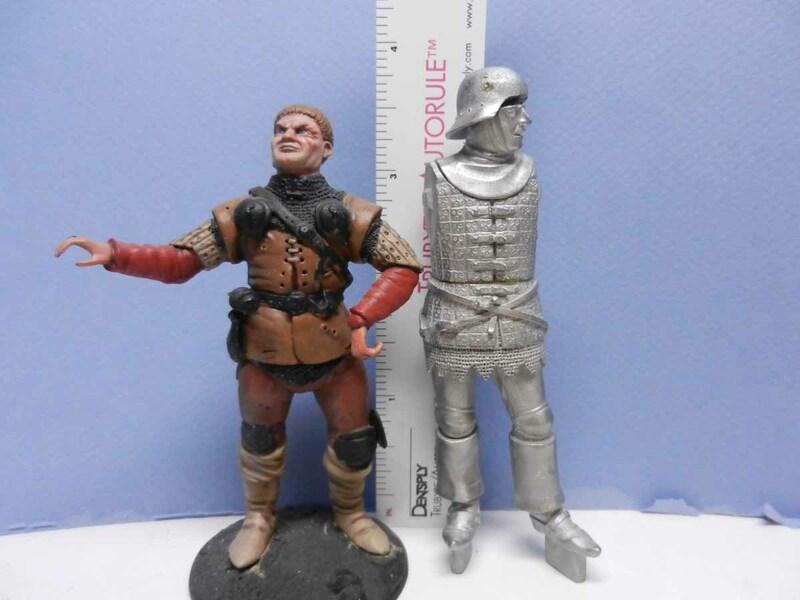 For human collectible models, the scale is usually in a millimeter rule. For example, a 54mm model measures 54mm from the feet to the eyes, or the top of the head, depending on the manufacturer. 54mm is also considered 1/32 scale, which translates the mini to be about 2 1/4 inches. Other popular model sizes above 54mm are 75mm, 80mm, 90mm, and 120mm. There are much larger scales than that but these are the ones I work in the most for collectible models. 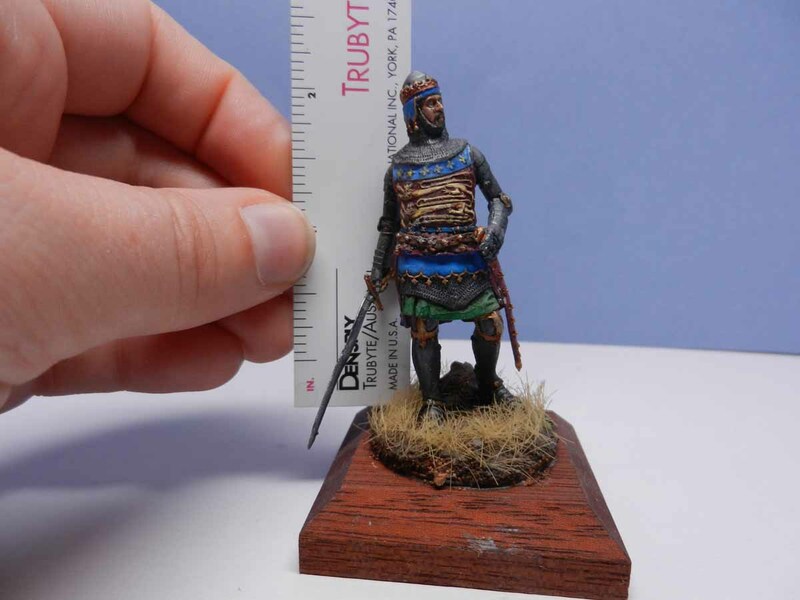 This knight from Andrea Models is 54mm scale and measures 2 1/4 inches from his feet to the top of his head. 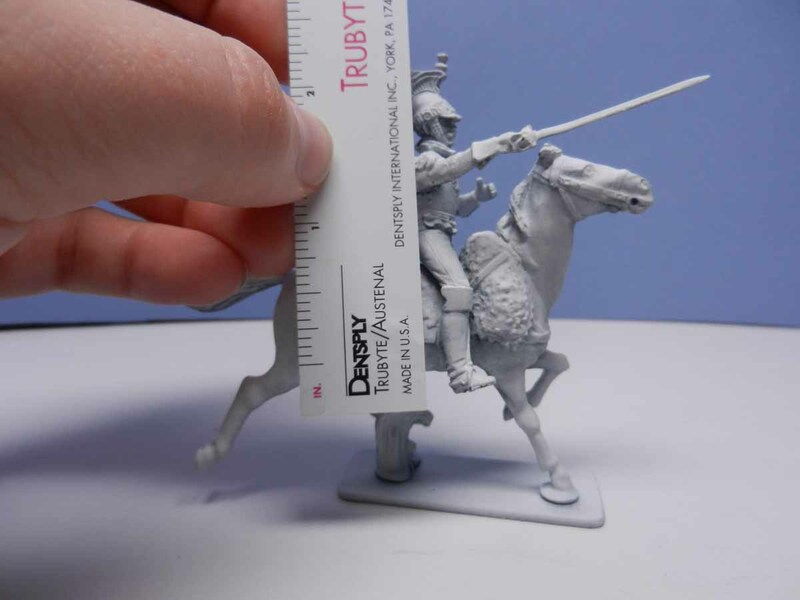 This mounted napoleonic soldier is also 54mm scale, measuring from his foot, to the top of his head and the horse is also sculpted in the same proportion. The next two models are a 90mm knight and a 120mm archer. 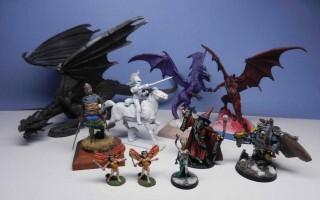 Gaming miniatures seem to be in a world in their own as far as scale goes. 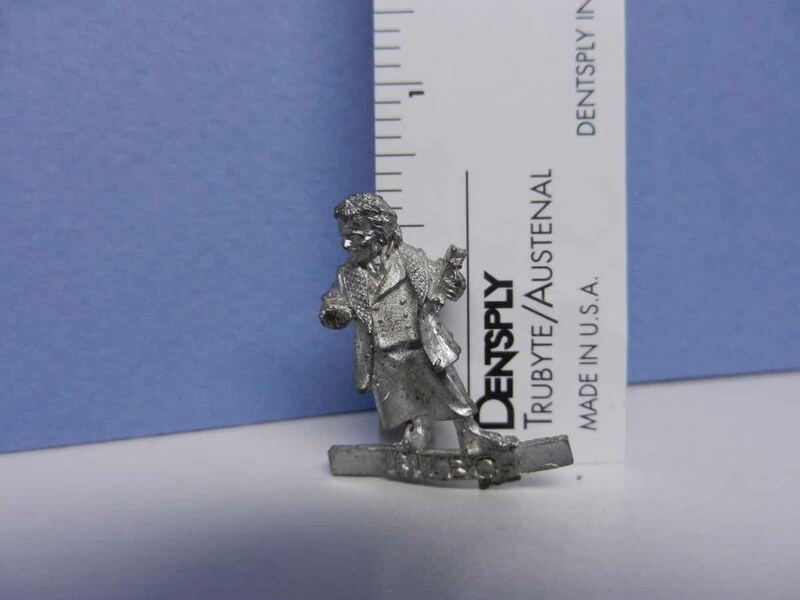 They are generally sculpted in 6mm, 15mm, 25mm, 28mm, and 30mm. The commissions I usually get are in the 28mm range. 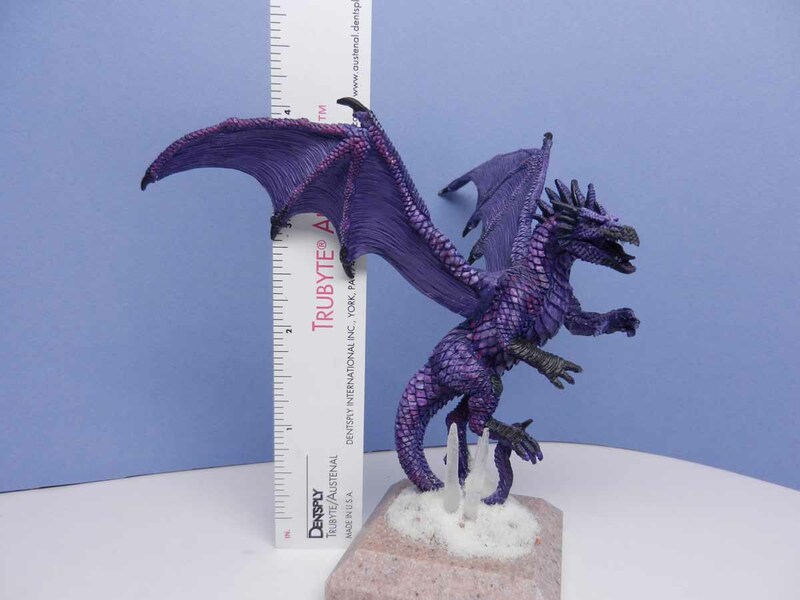 Within the size of 28mm, some companies such as Reaper come out with several versions of this scale. 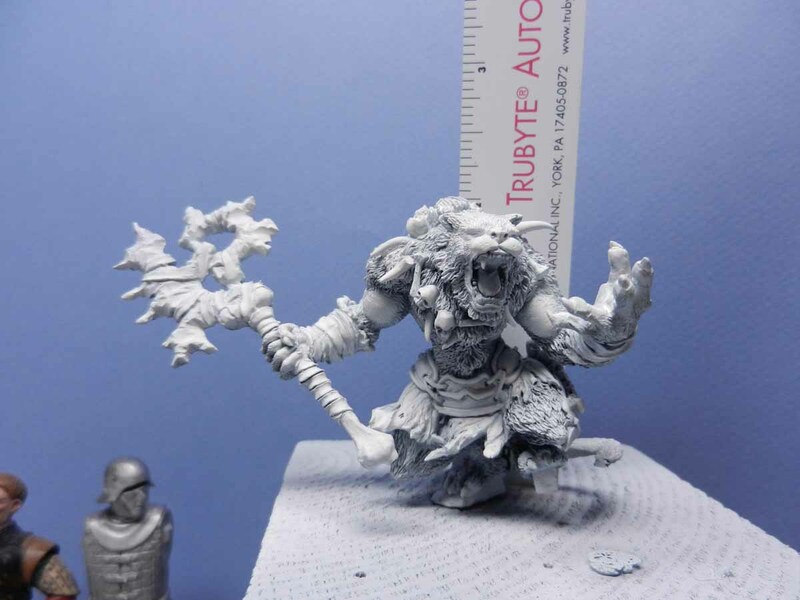 Reaper Miniatures sculpts in true 28mm but also has a bulkier size which is considered “heroic” scale for the same size. 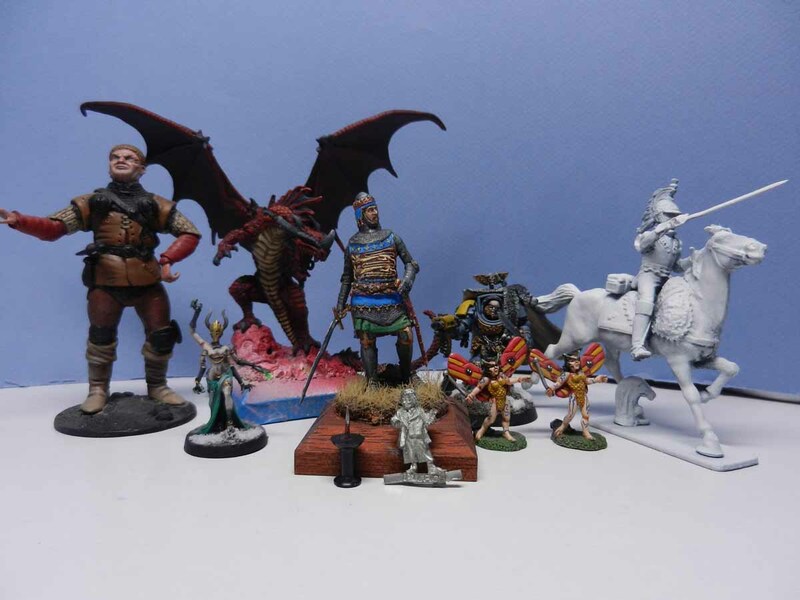 Wargaming companies such as Games Workshop make that scale bulkier as well for ease of painting and playing while other companies such as Avatars of War make their minis slight and slender, much closer to the 25mm mark, but is still considered 28mm. 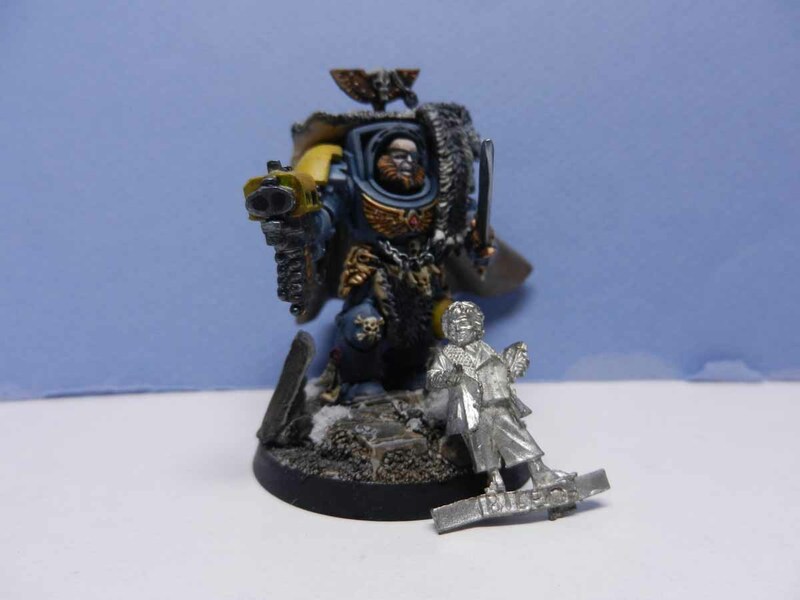 The two pictures below are both from Games Workshop in the same scale. 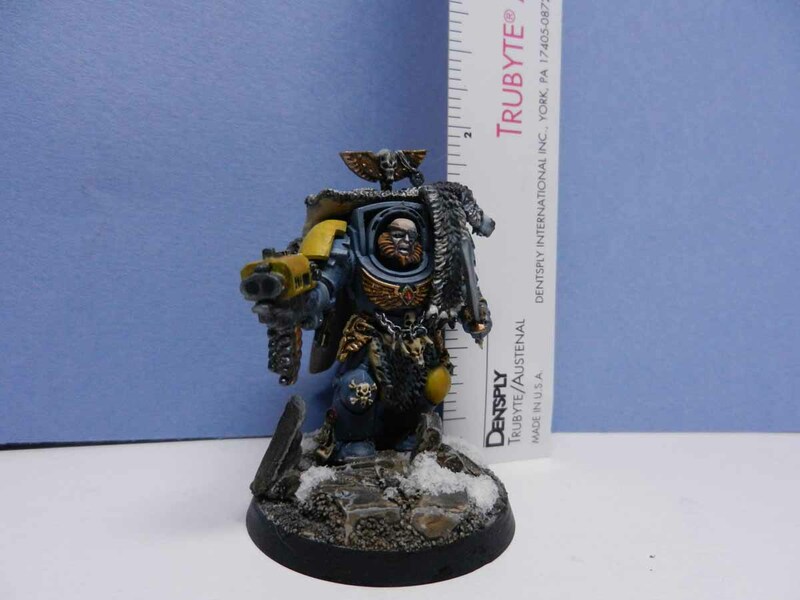 The first photo is a Space Wolf, which would be an human in an oversized suit, representing apporximately an eight foot tall soldier. The second picture is Bilbo Baggins , a hobbit which represents about a three to four foot tall creature. The third picture is of the two together. 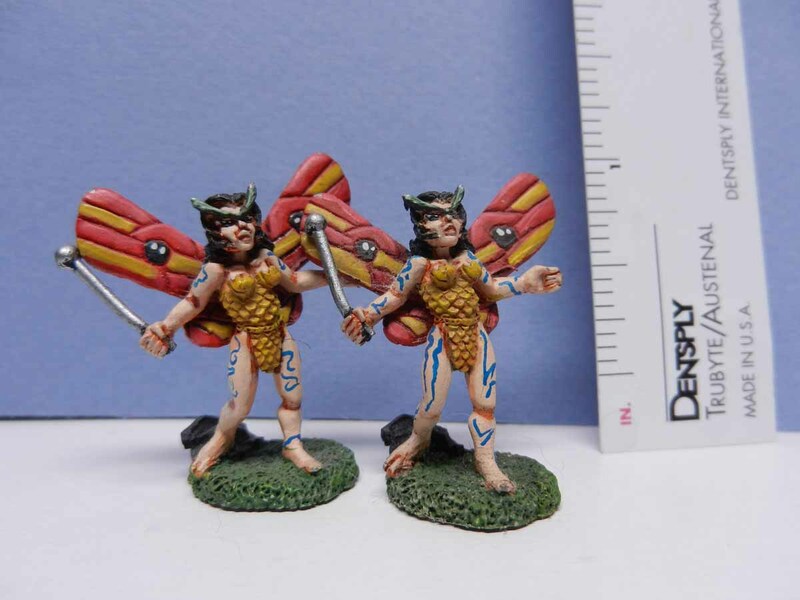 The photo below is of the Domina of Torment from Avatars of War. 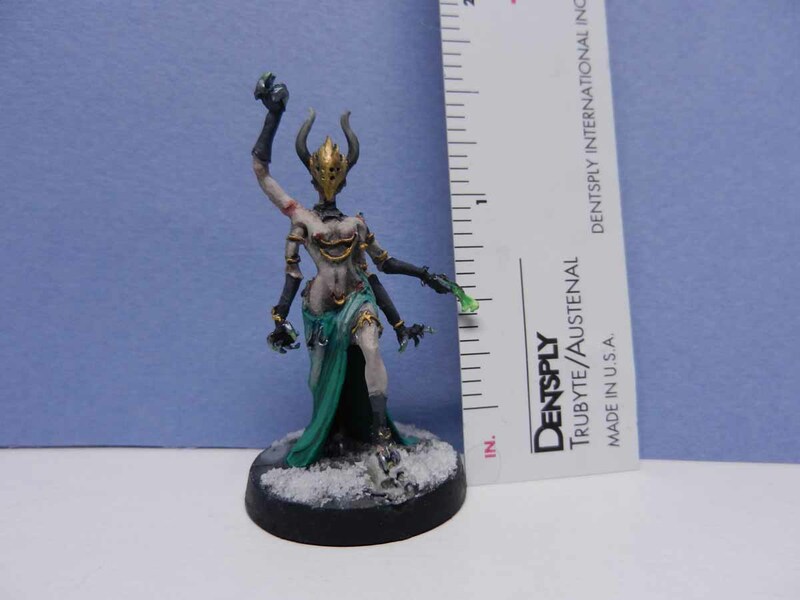 It’s easily seen how much more slender the sculpt is compared to the Â Games Workshop models but she is still considered to be in the 28mm range at 1 1/2 inches tall. 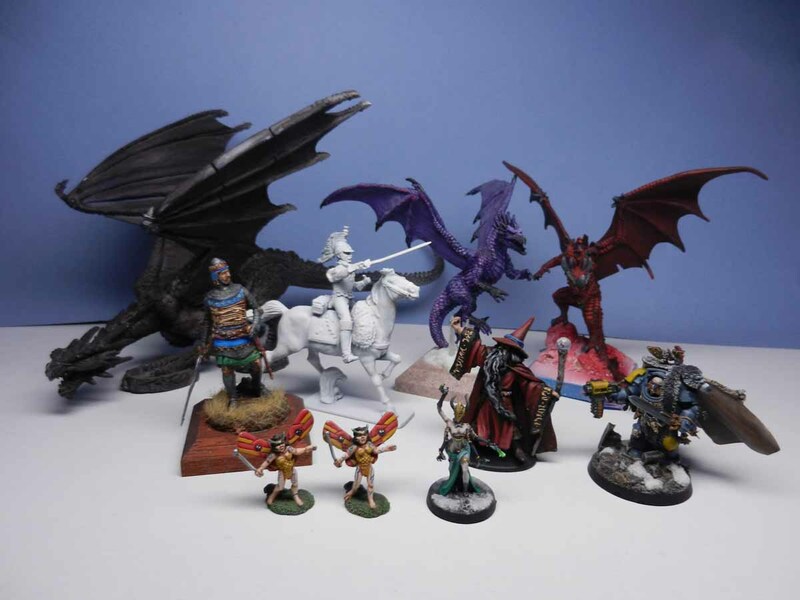 Below are a collection of Reaper Miniatures. They are all considered the same 28mm scale. 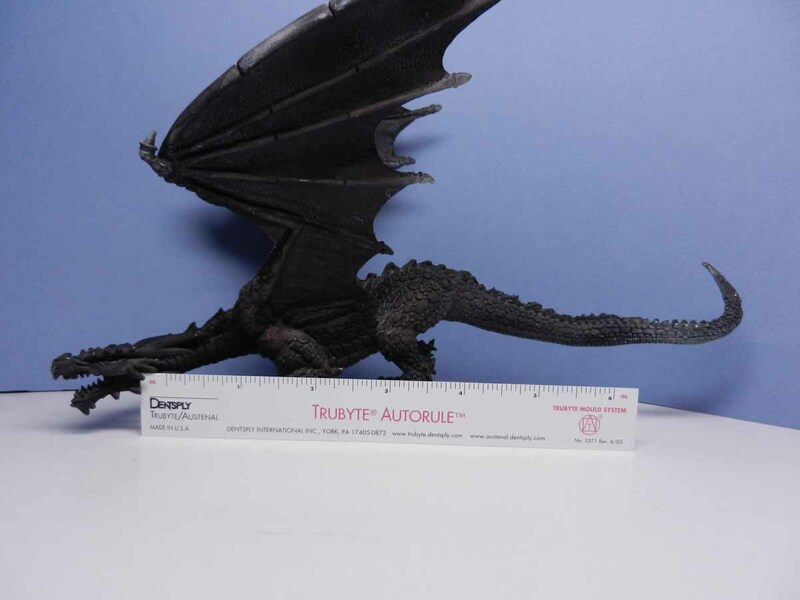 The dragons are going to be much larger in than a human figure and even the dragons differ in size, but not scale. This is a great sculpt by Kaha Miniatures that I’ve been aching to paint. 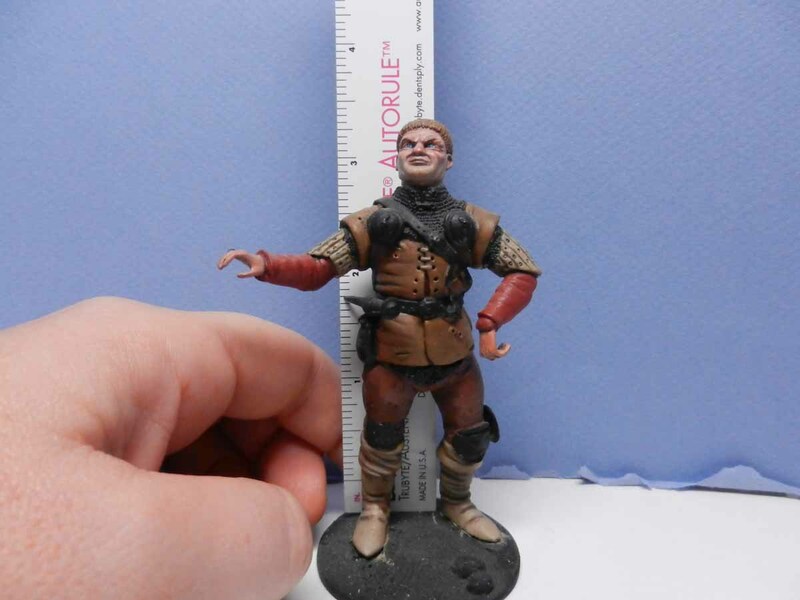 He measures a little over 2 inches and is a 52mm miniature. As I’m posting these pictures side by side, I can totally understand how no one can really tell how big each model is. In these pictures, the ruler serves as a guide but without it, they would all look the same size and there’s no reference to what that size would be. With that in mind, I took this last group photo with a push pin in the foreground. I chose the pin because they come in one size and is something everyone has used and is familiar with the size. From this post on, I will incorporate this push pin in the works in progress photos so that readers that may not be into miniatures enough to know all of these scales can get an idea. I’ll also start measuring the dimensions and include them in my gallery descriptions with the final photos. I’d rather not use the pin in the final gallery photos but readers will see the pin pop up in the regular posts. Â Â I hope that this helps describe size and scale of minis a little. I admit that I don’t have a full understanding of all scales but if there are any questions that I may have not touched on, feel free to comment and I’ll try and find the answer.